Cybernetic limbs glinting in the light of alien stars, the legions of the Machine God sweep out across the galaxy. Ranks of Skitarii marching in lockstep lead the way, their cloaks snapping in the wind, even as their arcane energy weapons hurl blazing streams of fire into the enemy. These are the foot soldiers of the Machine God, crafted in his perfect image and clad in the glorious technologies of Mars. From forge worlds across the length and breadth of the Imperium the Skitarii launch their wars of exploration and conquest, all in the name of the holy Omnissiah. 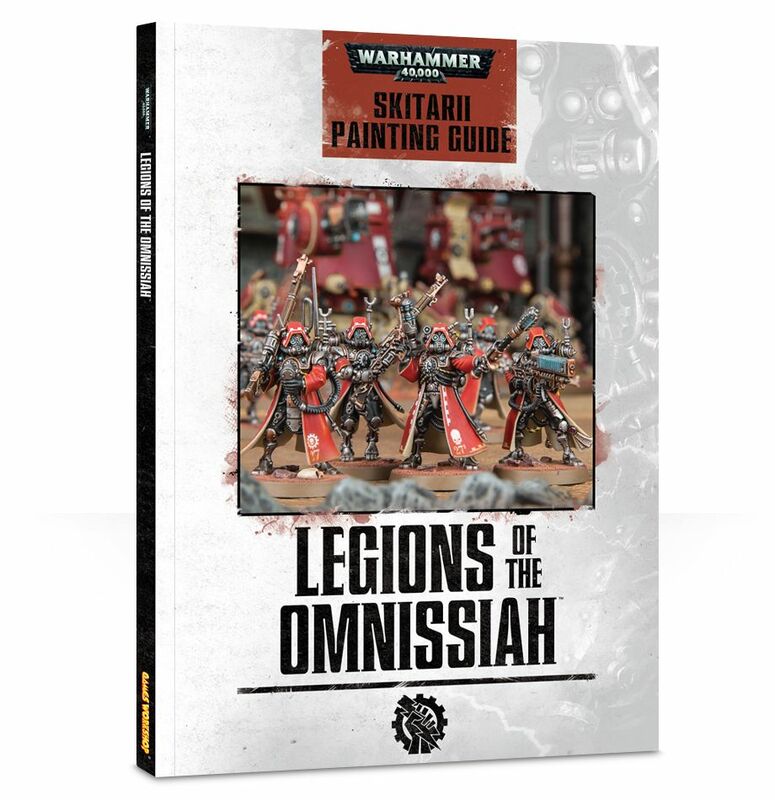 Legions of the Omnissiah: Skitarii Painting Guide is a detailed painting guide for the Skitarii. This book presents two distinct collections of Skitarii, each one showcasing a variety of fantastic models from the Skitarii Citadel Miniatures range. Inside you will find new background and comprehensive painting tutorials for each of the collections, with top tips and instructive step-by-step photos allowing you to create a striking army of the Machine God. Submitted by Miniset on 25 May, 2015 - 03:14 (286592).